The European eel Anguilla anguilla is listed by the IUCN as critically endangered, and there is widespread agreement across Europe that effective action is urgently required to save it. The Sustainable Eel Group (SEG) believes that the creation of a responsible, sustainable commercial eel sector is an essential part of that action. SEG’s vision is to achieve “Healthy wild eel populations distributed throughout their natural range fulfilling their role in the aquatic environment and supporting sustainable use for the benefit of communities, local economies and traditions”. Healthy Water Habitats: defined as functionally intact water flow to support habitat for fish and vegetation, water quality, and ecosystem health, where natural residence of elvers, natural escapement of silver eels as well as free migration between the waters themselves is possible. A Sustainable Eel Sector: defined as an eel sector that produces a fully traceable product, is financially viable, and is compatible with the achievement and long-term maintenance of healthy wild eel populations and provides a positive net impact on eel populations. To understand why SEG believes that a sustainable commercial eel sector has a positive part to play in saving the eel, rather than in contributing to its continuing demise, it is necessary to understand the eel’s life cycle, and to understand the factors that are believed to be the most important reasons for the eel’s decline. It is then possible to understand how the SEG Standard can contribute to the restoration of eel populations. Mature ‘silver’ eels are thought to spawn in the Sargasso Sea south of Bermuda. The maturing eel larvae, Leptocephali, are then believ ed to return to European continental waters by drifting on the Atlantic currents, developing into the immature ‘glass eel’ stage of their lifecycle in the estuaries of European rivers. On reaching an estuary, the glass eels swim towards fresh water and enter Europe’s river systems, penetrating far inland. In the rivers the glass eels mature into elvers and eventually into the adult yellow eels. Maturation may take up to twenty years, depending on the eel’s gender, and on the temperature and condition of its environment. Finally, the mature eels swim downriver to return to the sea and make the journey back across the Atlantic to Bermuda, where the cycle can begin again. The paucity of information as well as the lack of known conservation measures that could be applied to the oceanic part of the eel’s life cycle means that efforts to restore healthy eel populations must necessarily focus on these factors. Faced with the factors that are known to result in eel mortality, it may seem that an immediate ban on the recreational and commercial take of eels – including glass eels, silver eels and yellow eels – would be an obvious and potentially effective conservation measure. SEG believes, counter-intuitively, that this would be wrong. In fact a range of factors suggest that a sustainable, commercial eel sector would be a major force in restoring eel populations. Most fundamentally, the continuing existence of a commercial sector is completely dependent on the maintenance of a healthy wild eel population. Despite more than 100 years of research it has to date proved impossible to breed eels in captivity. Eel aquaculture and ranching, as well as fishing for glass eels and adults is impossible without a wild population. Without a wild population there is no commercial eel sector. The eel sector has an existential motivation to protect and increase that population. And this is not simply a question of economic interest. The sector – including commercial, recreational and traditional fishers – has a deep, cultural relationship with the eel and eel trade, going back centuries. Its dependence on the eel gives the eel sector a clear interest in the survival and growth of eel populations, but does not give it the tools to contribute, or show that a ban on the taking of eels would not be an effective long-term conservation measure. The arguments for this fall into four categories: technical, institutional, political and financial. On the technical side, the eel sector has plenty of opportunity to contribute to the restoration of populations. Technical measures include the safe capture and handling of glass eels for translocation from estuaries and rivers that are blocked to potential upstream migration to rivers and wetlands where they can grow to adulthood and return to the sea to reproduce, and the establishment of eel fishing free periods, quota and areas or zones. On the institutional side, it is essential to combat the illegal fishing and trade in eels. The trade of eels beyond European borders is already banned under CITES, and yet is estimated to represent 30 tons of eel a year – the same size again as the total legal European market. The illegal market undermines the viability of the legal sector, and suggests also that simply banning eel fishing and trade is unlikely to be an effective measure. A responsible, legal commercial eel sector, with eyes at the water, implementing full traceability from water to end product, has the potential to reduce the illegal trade far more effectively than already over-stretched policing on its own. Politically, the eel needs friends. In numbers the eel sector is thought to be worth over £500m per annum and provide employment for over 10,000 people spread across the EU and beyond. However, the sector is dispersed and disorganised. As a sporting and leisure activity eel fishing is pursued by hundreds of thousands of dedicated anglers. The eel’s lifecycle and need for open, healthy waterways makes it a flagship species for the restoration of wetlands, water quality and water flow. Together and aligned in their interests the commercial sector, recreational anglers, scientists and conservationists make a powerful political alliance. Divided, their chance of succeeding in their shared aim of restoring eel populations is greatly reduced. However, motivation without resources is insufficient. The eel sector not only has a fundamental interest in seeing healthy wild eel populations restored, but it has the potential to make a financial contribution to achieve this, without having to depend on public financing or NGO fundraising. A responsible, commercial eel sector could provide a source of well-directed financing aimed at answering key research questions, supporting effective public communication, and supporting the implementation of genuinely effective conservation measures. Finally, and perhaps most importantly, simply banning the commercial taking of eels would not work, as it would have no impact on the underlying factors that are causing the collapse in eel populations. The most important of these factors are the loss of freshwater habitats, water pollution, barriers to up- and downstream migration, and eel mortality due to water intakes, pumps and hydropower. A united, engaged eel sector, committed to the restoration of healthy wild eel populations, implementing measures that are backed up by independent scientists and supported by conservation organisations, stands some chance of addressing these underlying factors. SEG believes that such an approach has the best chance of success. Based on this analysis, SEG believes that the development of a sustainability standard and associated certification programme provides an effective model to help it achieve its objectives. Provide a platform to communicate with the wider public about the plight of the eel and action that the public can take to support the eel’s restoration, not only in relation to the support for a sustainable eel sector but also, and perhaps even more importantly, in relation to support for actions to open water ways to safe eel migration, and restore wetlands, water quality, habitat and flow. The requirements specified in the SEG Standard shall be designed to ensure that implementation of the SEG Standard at the level of each individual SEG certificate holder has a positive net impact on eel populations. The requirements specified in the SEG Standard shall support the collection of the long-term data necessary to monitor changes in eel populations over time and to demonstrate the efficacy of the SEG Standard in achieving its objectives. SEG believes that the concept of ‘positive net impact’ is of critical importance to the credibility and success of the SEG Standard, as it will require each certificate holder to be able to demonstrate how their activity contributes to the restoration of healthy eel populations. This requirement is linked to the collection of the data that will be needed to demonstrate that the decline in eel populations is in fact being reversed, in order to show that the continued activity of the eel sector is compatible with the restoration of healthy eel populations. Subject to these requirements, SEG believes that the best way to ensure that the SEG Standard achieves its goal is to convene leading representatives of the eel sector, eel science and eel conservation to draft the standard’s specifications through an open, consultative, multi-stakeholder process. Amongst other requirements, the SEG Standard will need to define how the concept of ‘positive net impact’ should be implemented in practice, not only by eel fishers, aquaculturalists and ranchers, but also by eel traders and wholesalers. Traceability of eels and eel products throughout the supply chain. These provisions provide the starting point for a full review and revision process, designed to meet the requirements of the ISEAL Code of Good Practice for Setting Social and Environmental Standards, and launched in June 2016. The SEG Standard will be designed to be applicable to eel fishing within European coastal, estuarine and freshwater systems, to eel ranching and aquaculture, and to the trade and transportation of live eels. The SEG Standard will include provisions for the monitoring of the trade in live eels and for the monitoring of the trade of eel products from source to end consumer. Prior to the development of the SEG Standard and certification scheme SEG contacted and discussed its proposed approach with representatives of the Marine Stewardship Council (MSC) and Aquaculture Stewardship Council (ASC), and reviewed these schemes’ respective standards. 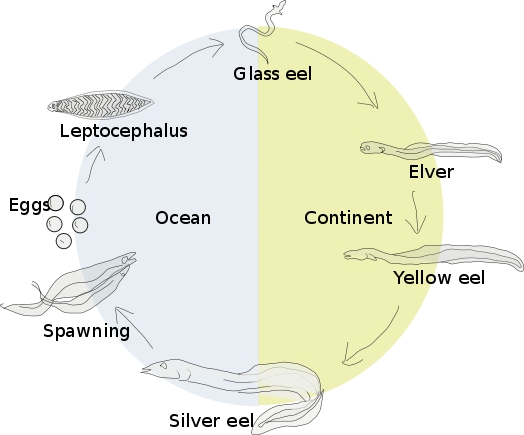 In discussion with these programmes it was concluded that the characteristics of the eel lifecycle, the lack of scientific certainty as to its population and an associated sustainable take, the dispersed nature of the eel ‘fishery’ and its status as a critically endangered species together prevented the application of their standards to the restoration of eel populations at the time. A comparison of the SEG Standard and MSC is available here. SEG remains open to collaboration with these initiatives wherever there is potential to avoid duplication and overlap, and believes this may be possible in relation to aspects of the SEG Standard that address eel aquaculture where there are overlaps with ASC requirements, and in relation to the standards and processes for assuring traceability, where there are overlaps with both ASC and MSC standards and procedures. SEG also b elieves that there is potential for collaboration with the Alliance for Water Stewardship (AWS) in relation to its model for cooperation at the watershed level in relation to the restoration of water quality, habitat and flow, and looks forward to discussions in the future during the process of SEG Standard development. 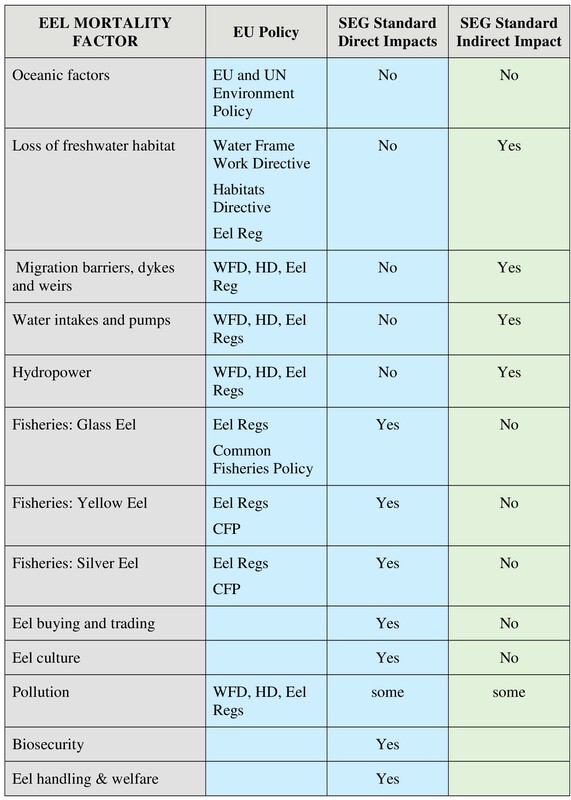 In addition to its consideration of voluntary schemes and initiatives, SEG has carried out a review of European Union and United Nations policies, including the European Eel Regulation 1100/2007 and the EU Water Framework Directive, to determine where and how the draft SEG Standard can contribute to their implementation, as summarised in the table below. Alignment with European Union and United Nations policies, and in particular with the European Eel Regulation, will remain a key consideration in the development of the revised SEG Standard. SEG also aims to ensure that its programme aligns with and is supportive of other initiatives aimed at protecting threatened and endangered species, in particular CITES. The eel is listed on Appendix 2 of the CITES Convention, meaning that trade is only allowed across the European Union borders under highly specific circumstances, which are not currently met. However, the scale of the illegal trade is considerable. SEG is working to ensure that the requirements of the SEG Standard include specific provisions to help combat this trade, and is working proactively beyond its standard and certification programme to support other efforts to eradicate the illegal trade. Finally, SEG remains in close contact with the IUCN Committee responsible for monitoring the status of the eel in relation to the IUCN Red List process, and with the International Council for the Exploration of the Sea (ICES), which has been appointed by the European Commission to advise it on the status of the eel, and measures to be taken to restore the population to a healthy condition. SEG has carried o ut an analysis of stakeholders that may be affected by the implementation of a SEG Standard, the results of which are summarised below. For the full analysis see Document 008 SEG Stakeholder Analysis. Based on its stakeholder analysis SEG has proactively identified a number of key stakeholder groups who are likely to be interested in or affected by the development and implementation of the SEG Standard, summarised in the table below. SEG maintains a database of stakeholders within each of these groups who are kept informed of and consulted on the development of the SEG Standard. SEG recognises that consideration also needs to be given to potential differences in perspectives and interests of stakeholders within stakeholder groups in different countries, affected by different cultural, economic and geographical contexts. 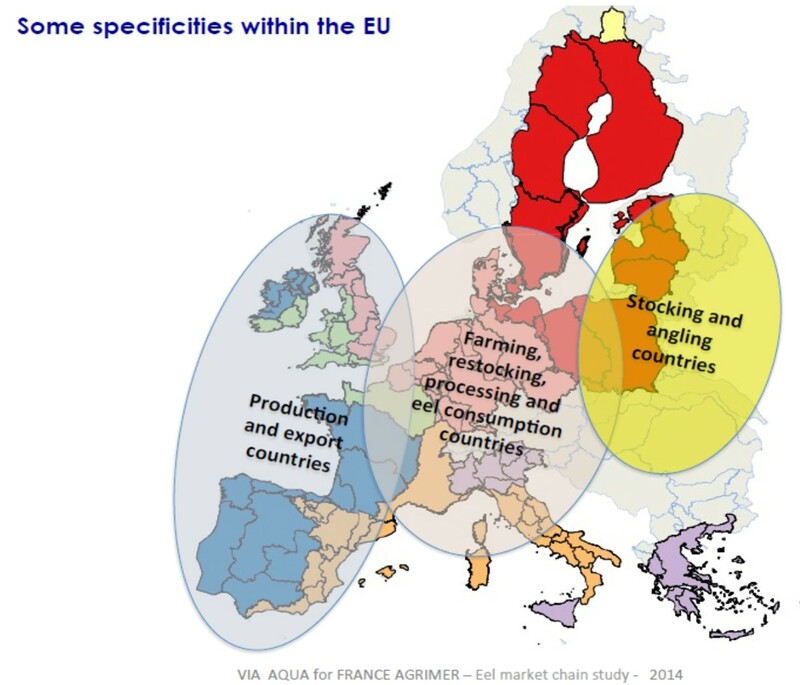 Different countries have differing ecological as well as infrastructural and institutional contexts, and have different roles in relation to the eel sector as a whole, as illustrated in the map below. SEG recognises that consideration also needs to be given both to larger and more commercially oriented operations, and to small-scale ‘amateur’ or ‘recreational’ user interests. SEG monitors stakeholder participation in its standards development processes based on these considerations, and endeavours to ensure that all interests and perspectives have been given a fair opportunity to participate and to represent their views, prior to the finalisation of any SEG Standard. One group of affected parties identified as a result of SEG’s analysis includes participants in illegal activities. These parties are intentionally excluded from participation in the development of the SEG Standard. 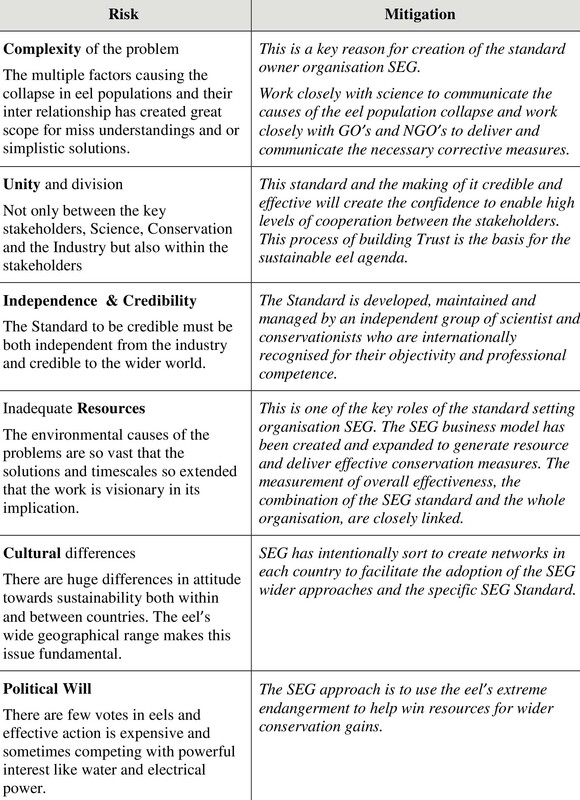 Based on its stakeholder analysis and its understanding of the coalition of interests that will be required to achieve its objectives, SEG has determined that the full range of stakeholders should be divided into three broad stakeholder categories for the purpose of decision-making on SEG Standards, representing Science, Conservation and Commercial interests, respectively. SEG’s governance structure has therefore been designed to ensure the fair and balanced representation for stakeholders from each of these categories within its decision-making processes, and in particular in relation to the development and approval of the SEG Standard in terms of their representation on the SEG Board, the SEG Leadership Group and the SEG Standards Panel. SEG recognises that many stakeholders could legitimately be assigned to more than one of these categories. In these cases the SEG Membership Secretary provisionally assigns an applicant member to a given category. If the applicant requests to be assigned to a different category the issue is then considered by the SEG Board, whose decision is final. Government bodies are not eligible to become SEG Members, and are not assigned to a specific SEG Stakeholder Category. They are however kept informed of SEG processes, encouraged to attend and participate in SEG meetings, and to review and comment on draft standards and policies in so far as their positions permit them to. Individuals working for government bodies are eligible to apply for SEG membership if they wish, and if so are assigned to a SEG Stakeholder Category based on their background and interests. Finally, SEG has carried out an assessment of the risks (e.g. 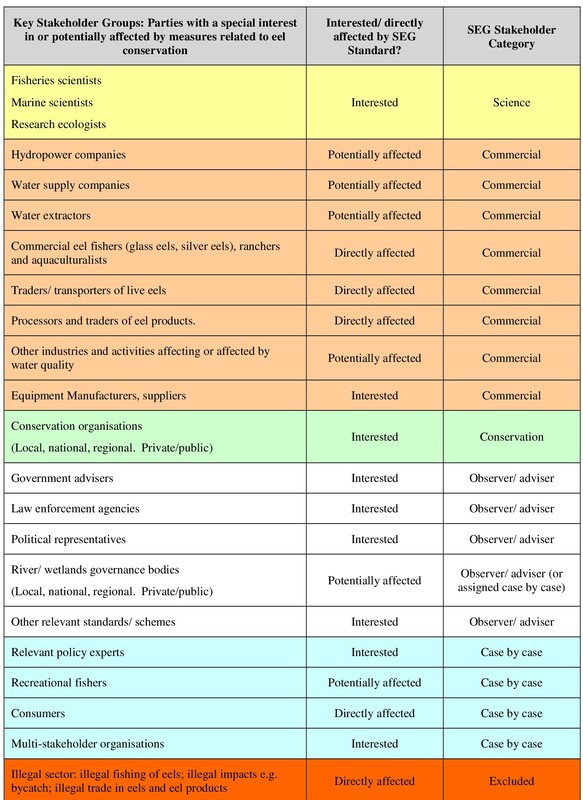 possible unintended negative social, environmental or economic impacts) in implementing its standard and considered ways to mitigate such risks, as shown in the tables below. The first table considers risks at the level of the SEG programme as a whole. The second table considers risks in relation to the SEG Standard itself.